Today we had this delicious summery dishes! Especially Soba salad was divine! 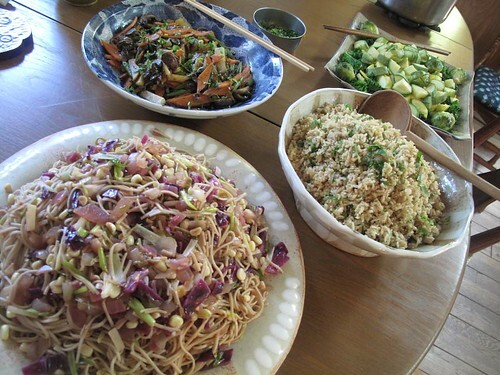 We learned several tips of making the soba salad; shocking water when we boil soba and we should wash soba well with cold water after the boiling. 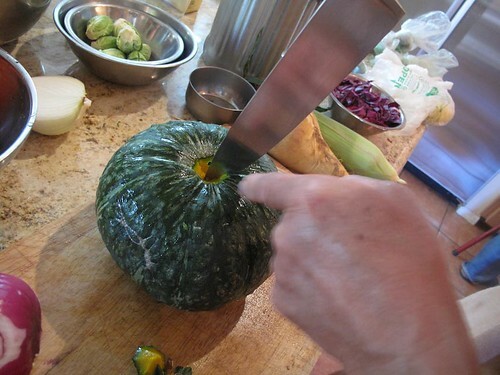 We also learned how to cut Kabocha pumpkin which lot of us are scared to do. The easy and safe way is taking the top part first. Thank you the great tips! 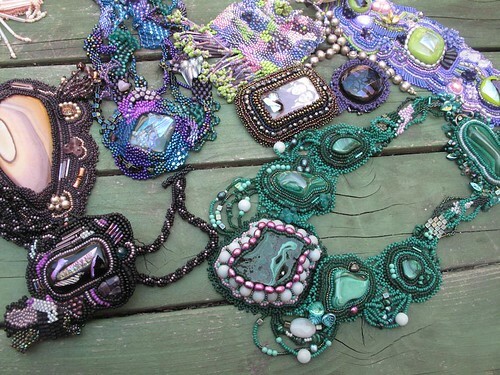 Sanae's friend, Sharon showed us her hand made beads jewelry. These are so beautiful. 100 hours of work on these jewelry is so special. 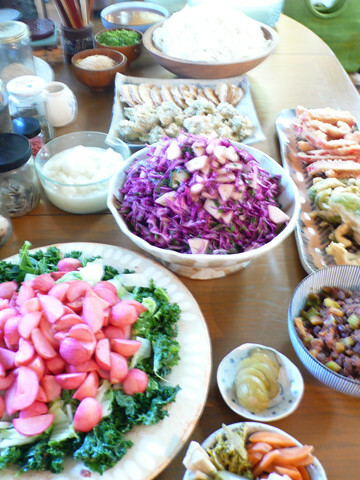 Today we made delicious vegetable tempura udon, Indian curried red lentils, blanched kale salad with ume radishes and cucumber, purple cabbage, and dill pressed salad. One of GREAT TIPs was that if you run out of ume vinegar, you can substitute with apple cider vinegar and ume paste. He used this to season the pressed salad and the ume radishes, and it was delicious! 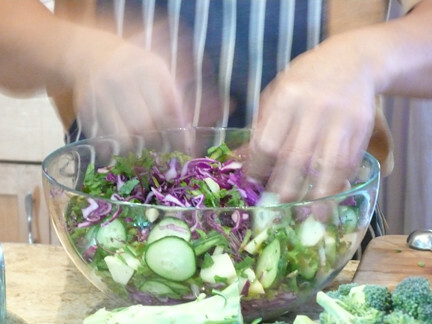 Here is how to make a pressed salad - you must use your hands!!!! Here is the finished meal, amazing!